Have you started conferring with readers during your literacy block? 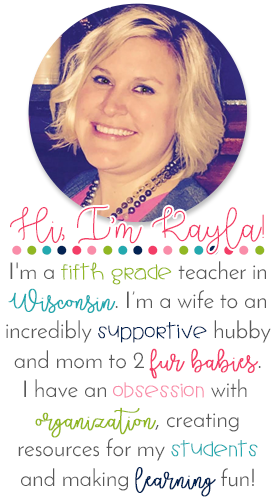 My amazing literacy coach introduced my staff to conferring this school year and it has made such an incredible difference. I am by no means an expert, but here are some resources I used to get started! Meeting with students where they're at, academically and physically (meaning, get down on the floor next to them where they are to read with them) and spending time discussing the book THEY are reading independently. Conferences take LESS than 5 minutes with a specific goal and time for you, as the teacher, to get to KNOW your readers! What does conferring look like? What?!? I move around the room and talk individually with students about their books??? And you're telling me the conference is less than 5 minutes? Are you kidding me? I had ZERO clue where to start. Thanks, again, to my lit coach, she showed us this great Jennifer Serravallo video. It was a great starting point. Now, do all my conferences look like this? NOPE and that's okay. 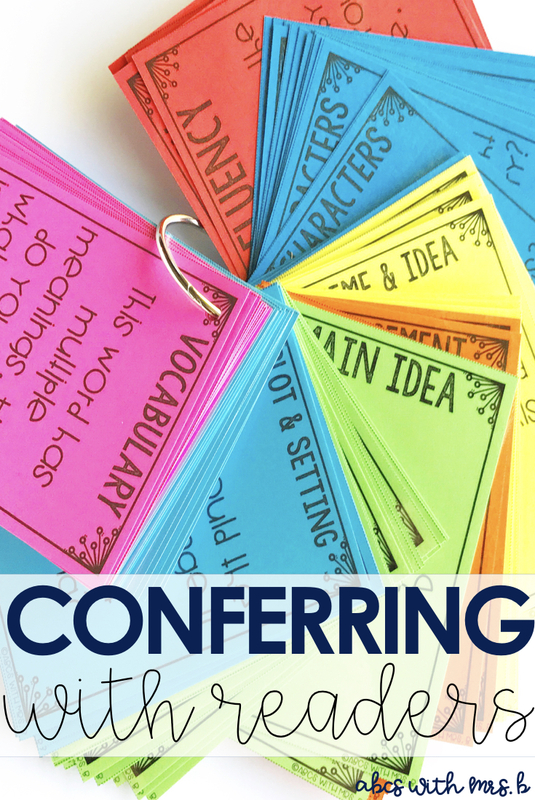 I've adjusted my conferring style to what works best for me and my students! Again, NO clue at first. I started out with the usual questions - problem, solution, characters, setting, new information learned, blah, blah, blah. I wanted to go deeper, so I started researching. I started with the hierarchy of goals (check them out on her blog HERE) in Jennifer Serravallo's The Reading Strategies Book. This really helped me get started with what I should be looking for. I then, of course, cross referenced with multiple other reading resources I had (we all know we've got them collecting dust on our shelves) and of course, found some on the wonderful world of the Internet. I had STACKS of books, papers, and websites for great questioning. Now, I didn't want to carry around all these stacks on stacks on stacks to the carpet, then to a desk, then at a corner table, then to a crate seat (yes, I do flexible seating), so I put together all the questions into categories and wrote them up on cards in two formats. Check them out in my TpT store HERE if you're interested! Give it a whirl! It may not be pretty at first and may not make sense, but once you get into the groove, you'll see the benefits of conferring with readers!